Premium site adjacent to the highly successful Circle K/Kangaroo/Subway which is located at the corner of US 301 and CR 472. 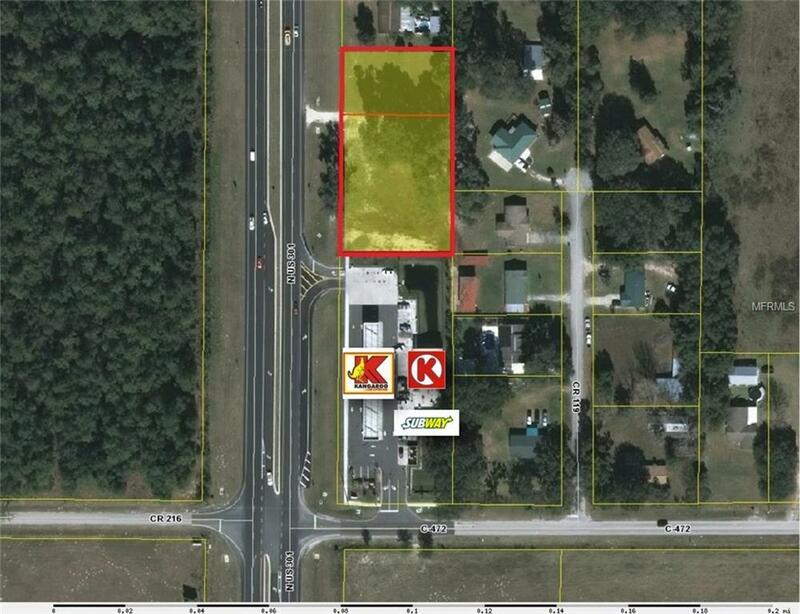 1.10 acres consisting of two parcels with 300' frontage on busy Hwy 301. Right in/right out. (2015) traffic count: 27,000. Will require rezoning for commercial use.